over 7 000 000 traders from all over the world! -	those who registered their accounts with the PAMM system as managing traders. Investors use the PAMM system to invest their funds in accounts of managing traders and eventually get part of profit derived by them. Investment implies transferring funds from an investor account to that of a managing trader under the company's control. After an investor has transferred funds, he/she becomes a PAMM account share owner; the share in a managing trader account is proportionate to the investment made. What opportunities does the system of PAMM accounts give? InstaForex Company ensures PAMM system members total control of all operations and automated recording of shares and profits. A managing trader can accept an unlimited number of investments of an unlimited volume from an unlimited number of people to one particular PAMM account. One PAMM account can be replenished with investments of any amount, i.e. from 1 up to hundreds of thousands of US dollars, by every investor depending on what share in the account each investor intends to have. In the FAQ section you can always find answers to all your questions regarding every aspect of InstaForex PAMM system functioning. This section is constantly updated thanks to InstaForex customer feedback. In order to register with the PAMM system, you need to open an account with InstaForex Company. 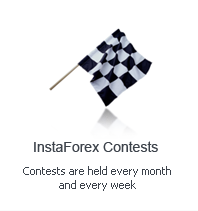 If you have already got a trading account with InstaForex Company, you can register it with the system right now. The procedure of step-by-step registration with InstaForex PAMM system is represented in the corresponding website section. The monitoring list of managing traders serves for you to choose an account which you find the most attractive and reliable to invest funds in. Moreover, you can always browse the trading dynamics of your managing trader over a certain period of time. InstaForex PAMM system is an infallible method to invest your funds in accounts of other traders to manage. There are no limitations on a minimum and maximum amount of an investment: you can invest any amount from 1 to hundreds of thousands of US dollars online. InstaForex system of PAMM accounts is an effective way to attract investments in your trading. If you do wish to attract funds of investors to your trading account, then InstaForex PAMM system is what you need: it will make your search for investors as quick and effective as possible. InstaForex PAMM system is an engrossing and efficient instrument for partners of the company. It allows attracting more customers and thus increasing partner profit. Presently, versatile InstaForex PAMM system is unique on the market of forex services. The best instruments for the Forex online successful trading.